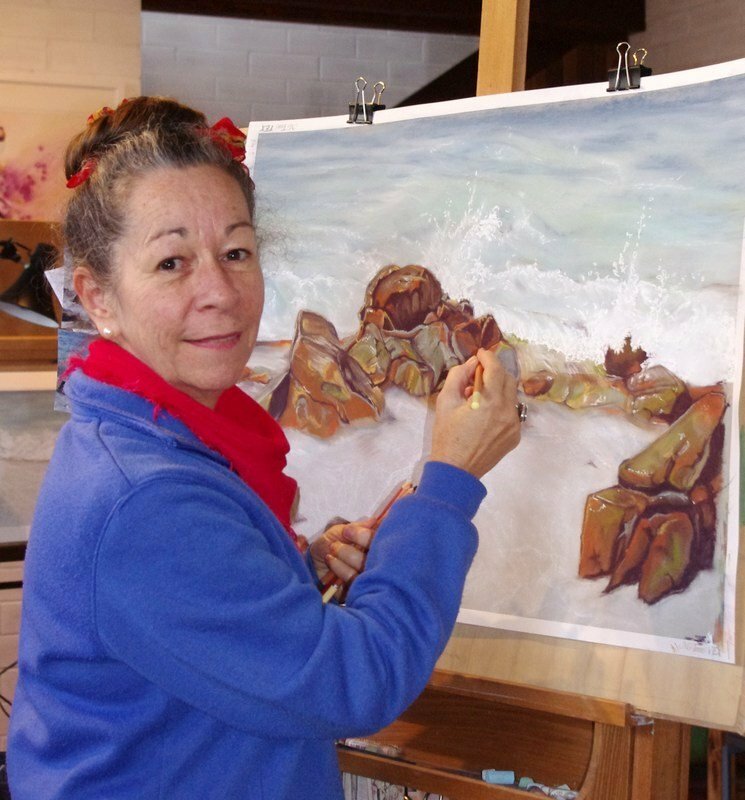 I am an artist living on beautiful Kangaroo Island in South Australia. My journey to here has been a colourful and interesting one. From Rhodesia, now Zimbabwe, where I was born and grew up and feel blessed to have experienced the beauty of Africa ,her images, music and people to England where I was able to tap into my Celtic heritage .Then on to Australia, finally settling in the tropical north in Darwin where I spent over 30 years. I trained as a professional Window Dresser and spent many years enjoying a creative working life for the most part working freelance. From a very young age I loved to collect things from the natural world. I still do to this day and use many in my still life setups for drawings. I am largely a self taught artist and while I work in pastels my favourite medium is colour pencil and graphite which allows me to create the fine detail I so enjoy doing. You are able to see the essence of things. I am also fascinated by things that are past. The vitality of life may have gone but another beauty remains. Telling a story from within. The small and everyday also have a beauty and reminds us of the beautiful and fragile world we live within. My hope is my art brings that awareness and a desire to care. “Marvellous, incredible kind of miracles of close observation beautifully drawn. I have work in private collections around Australia, England and Switzerland. All research material for my artwork is ethically sourced.